Burt Lancaster (November 2, 1913-October 20, 1994) strived throughout his career to avoid being typecast as an action hero, so he was constantly trying to stretch his acting range further and further by experimenting with different film images, although not always with success. From Here To Eternity (1953) made him a megastar and he used his fame to gain backing for his pet projects, such as The Sweet Smell of Success (1957), which only received critical acclaim a generation later. Born Burton Lancaster on November 2, 1913, he grew up relatively poor in East Harlem, New York City, although his family owned their own home and took in tenants. It was an extremely overcrowded house in a very overcrowded, noisy neighborhood. At that time, there were only two ways out of the slums, boxing or the rackets, but the Christian Union Settlement House showed him a different life by exposing him to art and the theater. He won admission to one of the best high schools on New York City but he was knifed before he could enter university. During the year that he spent laid up in bed the Depression took away young people’s hopes, gangsters fought in the city and Jimmy Cagney, an Irish slum kid like Lancaster, became famous. Lancaster became best friends with a neighbor, Nick Cravat, whose mother took the place of his mother, who had died just before he graduated from high school. The circus was still a big attraction at that time, and Lancaster and Cravat started learning the horizontal bar. After training for a year, he dropped out of university and ran off with Cravat to join a circus, where they managed to scrape out a living during the lean years of the Depression, although marriage to the daughter of a famous family of acrobats in March 1935 probably helped. Returning to New York in the fall of 1935, he found the city full of hope as the New Deal came into full swing and there was a flowering of the theater scene. However, a saturated circus market and the end of his marriage meant that Lancaster had to struggle to survive in the increasingly harsh vaudeville world. When he was drafted in July 1942, he was assigned to the newly created Army Services Forces, which was responsible for entertaining the troops. His unit followed the tortuously slow Allied advance through Italy and often performed a mile from the front. After the war a chance encounter won Lancaster a role in a play, and his performance received rave reviews. He suddenly found himself pursued by several major studios, which were hungry for fresh blood to replace the actors who had returned tired and older from the war. While deciding which offer to accept, Harold Hecht volunteered to be his agent, saying that they would be making their own pictures in five years. They eventually signed with Hal Wallis for $1,250 a week because he allowed them to make one independent picture a year. A role in the Killers (1946) enabled Lancaster to benefit from a huge press campaign because the movie’s producer, Mark Hellinger, had an endless number of friends in the press. Lancaster became an overnight success and the symbol of an ideal virile male. Despite a brief affair with Marlene Dietrich, he married his fellow war-time performer Norma Anderson in December 1946 because she had become pregnant and refused to get an abortion. Both Wallis and Hellinger pressured him to marry in order to avoid a scandal. By his third film, Lancaster was supporting a wife, child, father, relatives and old wartime friends. The independent movies that he made as part of his contract with Wallis showed sympathy with the underdog, were often against the system and were usually cut by the Production Code censors. The desire to become more than just an actor drove Lancaster to study every part of the filmmaking process. In fact, he was fascinated with learning in general, so he immersed himself in books and soon became a bit of a know-it-all. Lancaster and his family lived a long commute away from Hollywood and avoided the Hollywood party circuit. This did not prevent a year-long relationship with Shelley Winters, who shared his political beliefs, unlike his wife, who was a functioning alcoholic and had trouble coping with Hollywood. In 1947, J. Parnell Thomas, the new head of the House Un-American Activities Committee (HUAC), announced that he had evidence that hundreds of film people were communists. Lancaster’s starring role in All My Sons (1948), about a greedy industrialist who intentionally ships out defective planes during WWII, brought him to HUAC’s attention. Instead of backing down, Lancaster signed a petition organized by William Wyler and John Huston against HUAC, and he also recorded part of a radio message in support of the Hollywood Ten. The writer of The Flame and the Arrow (1950) was scheduled to appear before HUAC and the movie’s message of underdogs rising up against overlords had strong leftist undertones. A couple of days after several ex-FBI agents published the book Red Channels, which listed entertainment figures with suspect political leanings, North Korean troops crossed the border and entered South Korea. With the country embroiled in the Korean War, the FBI and Republicans seized the moment to attack leftists. HUAC re-opened in 1951 and forced suspects to absolve themselves by naming fellow leftists. Many of the people Lancaster had worked with were blacklisted after refusing to cooperate with HUAC and he responded with The Crimson Pirate (1952), which hid the story of freeing oppressed masses in swashbuckling and costumes. It was a huge success, and it was also one of the first movies to be filmed away from the studio on location, reinforcing Lancaster and Hecht’s independence from the studios. Despite the well-intentioned message, Lancaster treated director Robert Siodmak and the crew so horribly that Siodmak refused to ever work with him again and the crew was on the verge of mutiny. Lancaster had found it difficult to resist his new power, and his personal life was complicated by his son’s battle with polio and the end of the affair with Winters. Unfortunately, Hecht was named as a communist by HUAC and had to decide whether to name names or be blacklisted. If the American Legion placed a star’s name on the list, the studio would pressure the star to write a letter explaining his or her activities and professing patriotism. Lawyers like Martin Gang helped with this process, which also required a lot of money. When Hecht went in front of HUAC, he named names, and some friends called him a stool pigeon, so he was viewed as one of the worst namers of names, even earning Lancaster’s contempt. However, Lancaster was still suspect enough that he was only granted a temporary passport to go to Mexico to film Vera Cruz in 1954. He did not receive a formal passport until he gave in and provided HUAC with the clear denunciation of communism that it wanted. From Here To Eternity (1953) forced Lancaster to stretch his acting range because director Fred Zinnemann was hot off of High Noon (1952) and could not be intimidated while Frank Sinatra and Montgomery Clift gave serious competition. After Eternity, Lancaster’s career really hit its stride and he became one of the archetypical American movie stars who were bigger than life. Lancaster and Hecht started their own production company, Hecht-Lancaster (HL) but they had different goals. Lancaster was a big star, who wanted to make worthy films, while Hecht wanted big hits and the trappings of success. By this time, Lew Wasserman was Lancaster’s agent and United Artists (UA) signed Lancaster to a two-film deal where UA financed the films and Lancaster’s company kept 75% of the profits. It was a good fit for both parties, since HL needed the backing of a studio while UA needed product but did not want the burden of a traditional studio infrastructure. 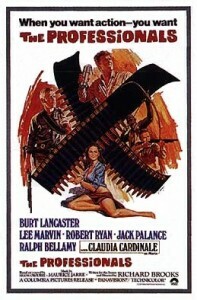 The two films were Apache (1954) and Vera Cruz (1954), both directed by Robert Aldrich. Lancaster was originally criticized for playing an Indian in Apache, but the audience saw it a month after the Supreme Court’s ruling on desegregation and understood that it was an attack on racism, so it was the top-grossing Western of 1954. 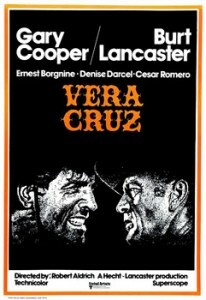 Lancaster lured Gary Cooper to co-star in Vera Cruz with a very generous deal that enabled Cooper to earn $1 million. Both movies were financial successes. Apache cost $1 million and made $6 million, while Vera Cruz cost $1.5 million and made $9 million. The experience of directing The Kentuckian (1955) made Lancaster realize that he would rather dominate the director than be the director, so he returned to acting. By late 1956, HL’s eleven movies had all made a profit so Lancaster and Hecht set up lavish headquarters for their company, including a barber and a manicurist. They were the largest independent production company in Hollywood. Writers and actors were hired on contract, and they had nine movies planned for 1957. Unfortunately, their timing was off since TV was thriving and theaters were closing. Worse, infighting within the indie-studio corroded their former magical touch as HL became HHL when Lancaster brought in James Hill as a partner because he felt that Hecht just wanted to be a mogul. Although now regarded as an influential cult classic, The Sweet Smell of Success (1957) was the company’s first failure because audiences could not accept Lancaster and Tony Curtis as repulsive slimeballs. The company’s next film, Run Silent, Run Deep (1958) was also a disappointment. The situation worsened when Separate Tables (1958) won two Oscars but was not a box office hit, while the Devil’s Disciple (1959) failed to attract a large audience. 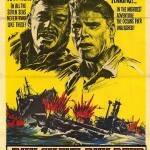 The Unforgiven (1960) needed to be a hit, but the production was plagued by disasters and Lancaster found that he could not dominate director John Huston. HHL’s real problem was that it bought scripts and hired talent on contract without producing enough films to keep the company in the black. They never learned to reign in their ambition and build up a war chest to get them through the bad times. By the end of the production of The Unforgiven, HHL had been broken up. Hecht went on to produce Cat Ballou (1962) and Taras Bulba (1965), while Hill was such a failure as a producer that Lancaster had to bail him out with a check for $75,000. To repay UA for HHL’s debts, Lancaster made four films for a salary of $150,000 instead of his usual $750,000. The films were The Young Savages (1961), The Birdman of Alcatraz (1962), The Train (1964) and The Hallelujah Trail (1965). Lancaster became obsessed with the Birdman of Alcatraz and hoped to win a pardon for the prisoner. However, Elmer Gantry (1960) put him back on top. It was a financial hit and earned him his first Oscar. Lancaster was often ahead of public opinion. The Sweet Smell of Success was only appreciated 20 years later and Castle Keep (1969) came out several years before MASH (1972), Catch-22 (1970) and Slaughterhouse Five (1972). Lancaster was not afraid to play controversial roles, such as the right-wing general who plots a coup against a president who is about to sign a nuclear disarmament treaty with the Russians in Seven Days in May (1964). Lancaster spent a year in France filming The Train and when he took a break after the movie was finished, his popularity began to slide. This is especially ironic since filming had taken so long because he had fired the original director, Arthur Penn, and hired John Frankenheimer to ensure that he got a box-office hit. (In the original script, the train did not leave the station until page 90, which would not do for a Burt Lancaster action film) The massive budget overruns were not matched by massive profits so UA never gave him so much freedom again. Combined with the end of his production company, from that point on he was no longer an all-powerful star. The Professionals was a much needed hit in 1966 but it was a little late. It also started his affair with Jackie Bone, a hair stylist on the film, his first serious extra-marital affair since Shelley Winters, and the cause of his divorce. He then made a very personal film, The Swimmer (1968), but spent so much time preparing for it that 1967 passed without a Burt Lancaster film. When Lancaster and his wife divorced in 1969, he began living with Bone, while his wife won custody of the three teenage daughters. Around 1970, the movie studios started changing and his career began to decline, partially because the hot new actors and directors were people he had alienated before. He pushed hard for the role of Don Corleone in the Godfather (1972) but failed to get it. However, he did receive 10% of Airport’s (1970) profits, which made him rich again. Aware that he would turn 60 in 1973, Lancaster chose to play experienced, older versions of stereotypes that he had played when younger, making a trilogy of violent, complex westerns (Valdez is Coming (1971), Lawman (1971) and Ulzana’s Raid (1972)). Rejecting traditional stereotypes, he played hard, rigid, violent men. Like everything he took seriously, Lancaster became obsessive about politics. Lancaster, like Marlon Brando and Charlton Heston, became an early supporter of Martin Luther King, Jr. in Hollywood, so when King came to Hollywood, he gave a speech at the Lancaster mansion. Lancaster was also part of the March on Washington but unlike many celebrities, he chose to avoid the limelight and work in the background. Lancaster was against the Vietnam War because it took resources away from where they were clearly needed in America. He became a very generous donor to the Democratic Party and his wife helped organize a busing project for inner city black kids. Lancaster publicly supported Thomas Bradley in his first attempt to become Los Angeles’s first black mayor. Aside from his political work, he also tried to ensure that his movies were meaningful, instead of merely well-paying crap. As one of George McGovern’s 1972 celebrity supporters, he ended up on President Richard Nixon’s 1973 list of 575 enemies. He became known among liberals as a reliable supporter, who had little interest in credit, unlike Brando who wanted everyone to know. He was also a strong fundraiser for the ACLU and he cast the deciding vote to elect its first female director. Lancaster continued to actively support causes he believed in throughout his later career. When Rock Hudson was diagnosed with AIDS, Lancaster read Hudson’s speech at the fundraiser organized by Elizabeth Taylor. In 1988, presidential candidate George Bush called the ACLU Un-American, so Lancaster did a TV ad where he said that he was a member of the ACLU. However, he regularly refused any awards from advocacy groups. The relationship with Bone had been in decline for some time as both parties realized that it did not have the foundation needed to rise above an affair. Things came to a head in 1977 when she became a practicing Christian. A generous man, Lancaster did not forget his friends. He picked up the tab for Nick Cravat’s two children’s college education, and while he was naturally a lavish giver to his own five children their lack of ambition was a constant source of irritation. The desire to do right by his dependents drove him to make several mediocre films during the late 1970s. In 1980, a routine gall bladder operation turned into a life or death situation, which he barely survived. This was followed by a quadruple bypass in 1983, which meant that he had to bow out of playing opposite Raul Julia in the Kiss of the Spider Woman. He was still young enough to start a relationship with 42-year-old Susie Martin, and Lancaster clearly embraced his last chance for love. Lancaster would not do television shows like Dynasty, and when he was replaced on Old Gringo (1989) by the three-year-younger Gregory Peck because it would cost too much to insure him, it effectively ended his career. After suffering a massive cerebral stroke on November 20, 1990, Lancaster essentially lost his ability to communicate to anyone aside from Susie and was bedridden for the rest of his life. He lasted four more years before passing away from a heart attack on October 20, 1994. In twelfth century Lombardy, a young archer joins rebels against the German overlords when his son is taken away by a German count. A sergeant in the French Foreign Legion leads nine men to reinforce a Legion outpost that is to be attacked by Riffs but ends up kidnapping the future bride of the leader of one tribe who is trying to unite the tribes. The situation becomes complicated when the sergeant and the girl fall in love. A pirate captain becomes involved with a revolution on a Caribbean Island in the late 18th century. A sergeant starts an affair with his captain’s wife in Pearl Harbor shortly before the Japanese attack. A Yankee sea captain carves out an empire in Micronesia during the 1870’s. When the Apache are sent to a reservation in Florida, one warrior escapes but struggles to balance his thirst for the quick but glorious death and his gradual realization that it is possible to adapt to the white man’s world. A frontiersman in 1820’s Kentucky feels that Kentucky has become too civilized, so he decides to take his young son to Texas, where they can still live free but he encounters unexpected trouble when he buys an indentured servant. Famous lawman Wyatt Earp joins his brothers at Tombstone where they end up in a feud with the Clantons that leads to a shootout at the OK Corral. The commander of a US submarine in the Pacific during WWII has a fanatical desire to sink the Japanese warship that destroyed his previous submarine. A frontier family find themselves abandoned when their neighbors learn that their daughter is actually an adopted Indian. In 1948, three years after the Nuremberg trials, four Nazi judges are tried in an American court in occupied Germany for their roles in the Nazi ethnic cleansing. In Sicily in the 1800’s, Prince Salina, a powerful landowner, is forced to watch his influence and status decline in the wake of the reunification with Italy. In late 1944, as the Allies advance on Paris, a German colonel fills a train with French art treasures, which he intends to ship back to Germany, while the French resistance attempts to stop him. In 1860, trapper Joe Bass is on his way to sell a winter’s worth of hides but is forced by a band of Indians to accept an escaped slave in exchange for the hides. Before he can attempt to recover the hides, a group of scalphunters ambush the Indians and take both their scalps and his hides, but Bass refuses to give up. Near the end of WWII, a company of GIs occupy an ancient castle and as their commander has an affair with the countess, both the rest of the company and the residents of the nearby village deal in their own ways with the tragedies they have seen. A rigid lawman travels to another town to arrest a man wanted for murder in his town but finds that the local marshal is a coward and the townspeople are hostile because the wanted man committed the murder accidentally while drunk. A lawman is tricked by a powerful rancher into killing an innocent man. When he asks the rancher for money to support the dead man’s wife, he is beaten and left for dead by the rancher’s men. He escapes and vows revenge on his would-be murderers. Buffalo Bill has persuaded Sitting Bull to join his newly formed Wild West Show but Sitting Bull has his own agenda. A small unit of US advisers stationed in a remote outpost in Vietnam in 1964 before major US involvement begin to feel that their situation is far too similar to the French soldiers who previously occupied the base until they were overrun by the Vietnamese. British officials arrogantly provoke a conflict with the Zulu nation in an attempt to gain a pretext to seize their land, but to everyone’s surprise, an army of 1,800 British troops and native auxiliaries are massacred by the Zulus during the Battle of Isandlwana. 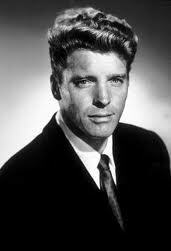 Burt Lancaster: An American Life-Kate Buford, Cambridge, MA: Da Capo Press, 2001. It is an excellent book and Buford avoids the hero worship that ruins far too many celebrity biographies but still manages to show how Lancaster’s magnetic charm counterbalanced a self-absorption and a vicious streak. My sole complaint is that I would have liked to learn more about Hecht-Lancaster, which was a trailblazer among independent production companies, but I suspect that would require a book of its own.